To enter the giveaway, simply leave a comment. Winner will be drawn on Feb. 14! This is a special day for me so I hope you’ll come celebrate the day with me. My eighth book is being released today. BETRAYED is the second in my Sisters by Choice series (DECEPTION was the first.) You might think after seven books, a new release is just one more, not that big of a deal. Wrong! It’s might not be that big of a deal to anyone else, but it is to the writer. If not, they shouldn’t be writing. But this is even a bigger deal to me. I was diagnosed with bilateral brain tumors in 2012. Since then, I’ve had two treatments and all the side effects that go with the treatments. I am not the same person I was on the day I was diagnosed. Chances are I will never be as healthy as I was. I have permanent balance and hearing issues that aren’t going away–unless God chooses to heal me. As we get older many of us will face serious health issues, just as I have and still am. When that happens we can give up or we can keep going on the best we can. Sometimes, adjustments have to be made to the situation, but that’s not the same as giving up. And I have no plans on giving up any time soon! So, come celebrate with me today! Ever wonder what kind of woman can be married to a terrorist and not know it? When a child disappears, Veronica prays it has nothing to do with her past, but what if she’s wrong? Not knowing who to trust, she trusts no one…and that’s her first mistake. To celebrate the release of BETRAYED, I’m giving away a virtual gift basket! The virtual gift basket includes: DECEPTION, the first in the Sisters By Choice series as well as a copy of my books, SERENITY SPRINGS, OHIO; DARK ALLEYS; and GEESE MATE FOR LIFE. Along with the books, a $25 Amazon gift card is included. To enter the contest, simply leave a comment on this post. To earn an extra entry, share this post on Twitter, FB, or any social media site, then be sure to tell me in the comment that you did. Winner will be chosen and announced on February 14. 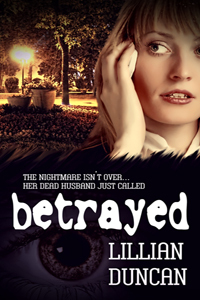 BETRAYED–Maria gave up everything to protect her daughter, but her dead husband just called from the grave! DECEPTION–When a niece she knows nothing about calls, Patti must unravel the truth of her twin sister’s life and her disappearance. THE CHRISTMAS STALKING–Country music star, Destiny’s life isn’t all glitz and glamour, someone wants her dead! PURSUED–Trusting Dylan will either be her best decision or her last! DARK ALLEYS–Homeless and alone, Tessa witnesses a murder, now he’s after her. SERENITIY SPRINGS, OHIO–His open and shut case just got complicated. GEESE MATE FOR LIFE–Jenni wants justice for her murdered husband, but is she willing to die for it? GLASS by Suzanne Williams: Andre Garner, up-and-coming glassmaker, thought the trip to the island was worth the risk. He’s been warned the place is full of mystery, and that the old woman living there is peculiar and anything can happen. Escape to Big Fork Lake by Mary L. Ball: A Romantic Suspense–Will an inheritance bring happiness or a trap for murder? Cleansed by Fire, by James R. Callan: Churches are being torched and a man is killed. One minister is swept into the search for the arsonists. But can he save his own church? Can he save his own life? The Last Detail by Lisa J Lickel: Hope, love, and loss meld two polar opposite personalities. How long can they keep passion for their ministry and each other after the wedding? Lisa Lickel is a Wisconsin author, editor, and mentor. She collects dragons and loves to connect with other writers. Visit www.LisaLickel.com. Heaven’s Prey by Janet Sketchley: A grieving woman is abducted by a serial killer—and it may be the answer to her prayers. Heaven’s Prey tells the story of a villain’s last chance at redemption and a vulnerable woman’s obedience to pray for her enemy. Janet Sketchley is a Canadian author who writes about God’s tenacity and how faith applies to real life, through weekly devotionals and Christian living posts on her blog. Learn more about Janet at http://janetsketchley.ca/. Ada Brownell, a devoted Bible student, has written for Christian publications since age 15 and spent much of her life as a journalist for The Pueblo Chieftain in Colorado. Journey of Eleven Moons by Bonnie Leon: A successful walrus hunt means Anna and her beloved Kinauquak will soon be joined in marriage. But before they can seal their promise to one another, a tsunami wipes their tribe from the rugged shore—everyone except Anna and her little sister, Iya, who are left alone to face the Alaskan wilderness. DON’T FORGET TO LEAVE A COMMENT TO BE ENTERED IN THE CONTEST! I would love to be entered in this giveaway! Your book looks so interesting. Congrats! What a great giveaway. Congrats on your newest release. Congratulations you must be thrilled. BETRAYED does sound amazing. Sounds like a great series. I love Christian suspense. I have shared this giveaway on Facebook and Twitter. You have reason to celebrate. Never give up. Thank you for a chance to enter this giveaway. Congratulations on your latest book..It sounds like one I would enjoy reading. Congratulations on your book. Please enter me in contest. Thank you for the opportunity to win.Have a wonderful week.. I read this book and it’s great suspense. I wrote a review of it on my blog and Amazon. If you like mystery, you’ll enjoy Betrayed. Thanks, Martha. That means a lot coming from you! Lillian, Your book sounds so interesting love to win it in a paperback as I don’t have a e-reader yet! the giftcard is just a added bonus !! Unfortunately, the book I’m giving away is an ebook, but if you win you can use the gift card to buy the book! Thanks for entering. Always enjoy reading new books, and your name is new to me. Nice to see a fellow Ohioan. :). God bless! I am so excited to read this one!! It sounds soooo fantastic!!! I am also excited to help you Celebrate!!! Praying for your health and for gods healing touch!! blessings to you!!! And yes please give your sweet sister a copy of your book!! Congratulations on publication of your 8th book, Lillian. Can relate to what you wrote about when illness strikes. I’ll remember you in prayer. Such a generous offer. Have posted this on my FB page. God bless. I love the hearts and chocolate of February. And I love your writing. Congrats. on your 8th book. Congratulations Lillian on the release of your 8th book. You are a new author to me and I am looking forward to reading your books. My heart and prayers are with you. I pray that it will be God’s Will for you to be completely healed. We know He is capable. What a contest! Would love to win! Am recovering from a total shoulder replacement and could sure use some good reading, and that is you! Congratulations, Lillian, on your newest release and thank you for the chance to win this fantastic giveaway. My prayers are with you and I hope you enjoy improved health and continued writing success. Thank you, Britney for your kind words. And thanks for entering the contest. Congratulations, Lillian, on your newest release and thank you so much for the chance to win this fantastic giveaway! My prayers are with you and I hope you enjoy improved health and continued writing success. Hey Lillian, what a great contest, who wouldn’t love to be the winner! Your interview was fun to read about, and my idea of camping falls right along in line with yours 🙂 Hope you are feeling better these days, continued success in your writing adventures! Thanks, Beth. I am feeling better than I have in months. A lot of the dizziness and yucky feeling in my brain has gone away. So, God is definitely healing me. Whatever life throws at us I believe it helps us grow as people. Absolutely, Mary–whether we like it or not!! Thanks for the opportunity! Can’t wait to read more of your books! Thanks, Maxie. I’ll put you in for an extra entry. Prayers for you. Love to win and to read your book. Awesome giveaway. Thanks for your prayers Good luck! Wow, you’ve been productive while going through a tough health issue. I pray that your health will improve and that God will continue to bless you as you reach out to others through your work. Your books sound interesting, and I’d love to read them. I love your celebration message. Keep up the great work. Maybe I’ll hear from you soon. 🙂 Take care. Good luck with your health. Would love to win your giveaway. Thanks, Libby, for entering the contest. Congratulations! Thank you for having such a fantastic giveaway. I would love to read your books. thanks for the giveaway…happy new year! Thanks for entering, KarenK. Happy New Year right back at you! Thanks for offering this giveaway! Your books look great!!! It sounds very interesting!!! I am amazed at your ability to push through your life challenges and continue to write. Very inspiring! Great way to celebrate. Thanks and congrats! Great way to celebrate. Congrats and thank you! Thanks, I’m happy to do it. What a generous giveaway, Lillian. Thanks for sharing so much of your work! Thank you for sharing of your health struggles and what you have learned through them. I have had lots of little health struggles recently and it often brings me down. Your words were an encouragement. I’m so glad you were encuraged by my words. Thanks so much. I’ll add an extra entry for you. Thanks for the tweet. Lillian, I saw Patti Shene’s tweet and her blog. I like to hear when people don’t give up. I’d like to enter the contest. I tweeted from this post. Thanks! Thanks, Zoe. I’ll give you an extra entry for the tweet. It’s easy to give up, but I’m determined to receive God’s grace and strength each day. Congratulations. To answer your question, I have wondered what it’d be like to be married to a terrorist. How could you not know? I can’t wait to read your book, and what a great contest. I’d love to be entered. Thanks! Thanks, Jackie, for entering. I don’t know about being married to a terrorist and not knowing, but some people find it very easy to hide a secret life. That’s for sure! You have a beautiful site and your book sounds intriguing. Congratulations! I wish you much success and many blessings!! This sounds like a wonderful and exciting book!! I’ve shared this blog post on my FB page. Congratulations, Lillian. Praying for you. Thanks, Sue. And I’ll put you in for an extra entry. Good luck. My favorite reads are mysteries and yours sound great. Thanks. Thanks for sharing. I’ll put your name in twice for the drawing. I am wishing you a miraculous recovery. You are so wonderful to offer a giveaway like this will everything else going on in your life. Thank you so much. I would love to win. Thanks, Carol Sue, for your kind words. Congrats. on the new book!!!! I will be keeping you in my thoughts & prayers!!!! What a creative idea for a story! Definitely a must-read! I enjoyed writing it. In fact, Maria insisted I write her story. Wow, that is a REALLY creative idea for a book! Sounds like a must-read! Congratulations on your success – your books sound great! Just what I love to read. Thanks for this opportunity. Congrats, Lillian. Keep up the good fight – and the good books! Congratulations! How exciting. It looks like a fantastic read. I would love winning copies of your books, not to mention the other goodies. Thank you so much for offering them. You’re so welcome. Hope you’ll check out the very generous writers who donated a book. Would love to enter your contest. Wishing you best on your new release. I understand about not having the wellness when we most want it. I have learned not to try to borrow strength for tomorrow’s tasks based on my depleting strength of today. 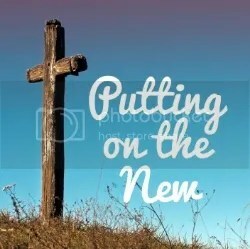 God gives us just what we need when we need it. Wonderful advice, Linda and so very true. But sometimes it’s hard to accept reality, but I’m learning. I may have commented on the wrong link. Not sure, Lillian. I left one somewhere! Just in case, I’ll do it again here. LOL I would love to read your other books. I read Geese Mate For Life. So wonderful that despite all you have been through and are still going through you are still able to do what you were clearly created to do. Would love to win, posted on twitter. God has difinitely blessed me by allowsing me to keep writing even with my health issues. Thanks for helping me celebrate today! This book sounds great – I’m with you, I love mystery and intrigue. You are inspiring the way you have allowed God to heal your pain and fear. That’s a big hurdle and God’s still working on me toward that end. Bless you – I’ll be praying for His total healing of your illness. Thank you so much. I feel very blessed in spite of my health issues. Lillian, be kind to your sister. Send her a book! LOL! Congratulations on yet another release, especially in the face of such adversity. It sure would be great to win all of these goodies, so please enter me. I can’t spoil her too much!! Thanks Patti. Congratulations, Lillian, and it sounds to me like this requires a double celebration, for book #8 and for your comeback after the surgeries. Enjoy every moment! Thanks, I celebrate every day that I feel good and that’s more and more each day.